Application is invited for filling up the Block/CHC Asha coordinators/Community Mobilizers in National Rural Health Mission (Haryana) under the state ASHA Resource Center (SARC) to be established at state HQ, District & CHCs purely on contact basis and initially upto 31-03-2013. 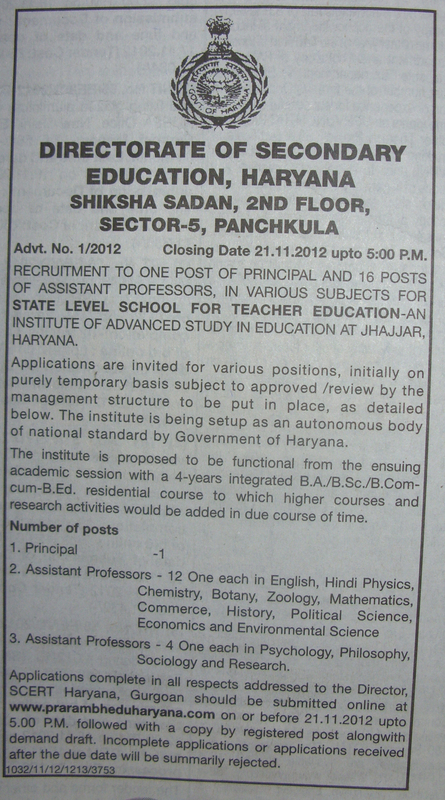 Last date for receiving of Application is 10/12/2012 positively before 4:00 PM. This entry was posted in career, career in psychology, psychology, psychology job on November 22, 2012 by epsychology. 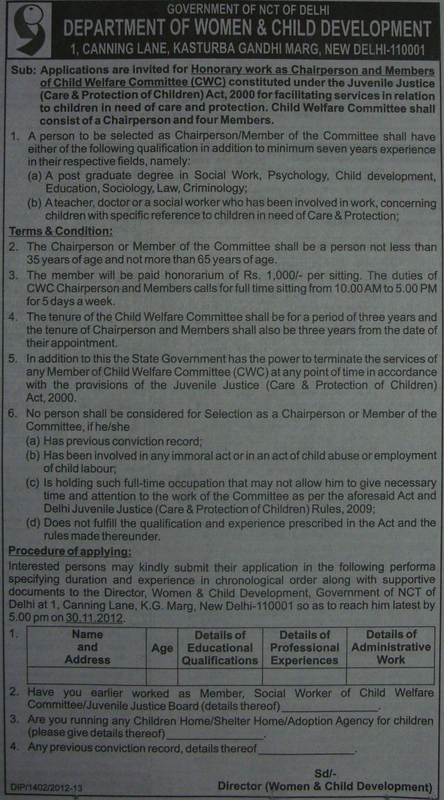 Application are invited for Honorary work as Chairperson and Members of Child Welfare Committee (CWC) constituted under the juvenile justice (Care and Protection of Children) Act, 2000 for facilitating services in relation to children in need of care and protection. Child Welfare committee shall consist of a Chairperson and four members. Educational qualification: Post Graduation in Psychology. Age should be minimum 35 years and not more than 65 years of age. This entry was posted in psychology job on November 9, 2012 by epsychology.